As I try to wrap my head around the loss of my friend and mentor, former publisher Carolyn Hayes Uber, and attempt to describe her influence, her persona, her life, I am struck by a remark I heard just today that helps put everything in perspective. And the fact that this remark mentions a common editing term (the dash), is serendipitous. Carolyn would be tickled. 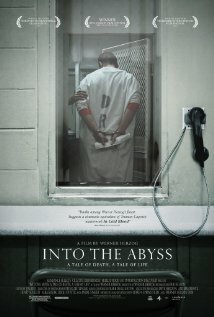 In the documentary Into the Abyss, director Werner Herzog interviews Fred Allen, who explains his role in executions as the former captain of the Death House team at the Polunsky prison unit in Livingston, Texas. Allen is clearly conflicted (eventually resigning his post), as he sees the lives of inmates reduced to numbers: 1954 – 2011, for example. He realizes and explains, quite eloquently, that our lives are not reflected in a birthdate or date of passing, but the dash in between. (Granted, it’s really a hyphen, but I’m not here to edit today.) Mr. Allen then asks, How are you going to live your dash? Which brings me back to Carolyn, who lived her dash with courage and strength and humor and love. So for Carolyn and my father and my “adopted” mother Patricia and other dear friends who are no longer here, I will live my dash, really live it… bravely, respectfully, happily. I hope you will, too.